In consideration of the acceptance of my entry for the event, I hereby waive and discharge Maungatapere PTA, Maungatapere School, its staff and/or members/trustees, owners and/or custodians of land and property on and over which the event is conducted, event sponsors and promoters, suppliers of product and services (including medical services), volunteers and volunteer groups and all other persons, entities or groups associated with the planning and conduct of the event (individually or collectively referred to as “indemnified parties”), from any liability and claims that arise from losses, injuries and or damage however caused (whether total or otherwise) that I may suffer from my preparation for and/or participation in this event. Further, I hereby indemnify and hold harmless (the above described “indemnified parties” from all actions, suits, proceedings, claims, demands, losses, damages, penalties, fines and any other financial impositions however arising (including from negligence) this waiver, release, discharge and indemnity is provided for me, my executors, administrators and assigns. I agree to comply with the rules of the event and will compete entirely at my own risk. I authorise the use of my name, voice, picture and any information provided by me on this entry form, and without payment, for the purpose of any broadcast, telecast, communication, promotion, advertising or activities associated with the current or future events held by Maungatapere Primary School or PTA. I acknowledge that if the event is cancelled due to acts of nature or extreme weather conditions, my entry fee will not be refunded. I confirm, where this entry is completed on behalf of me and/or others, that these others have been made aware of the above statement and that each of them confirm the waiver, release, discharge and indemnity set out therein, including on behalf of their executors, administrators and assigns. 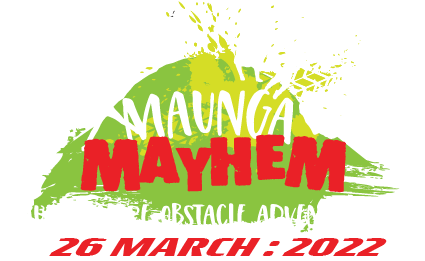 No refunds will be given within 30 days of the Maunga Mayhem event- No exceptions. A $5 administration fee will apply prior to this date.